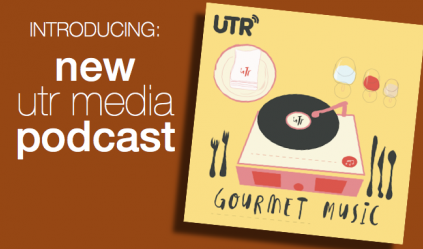 The UTR Critics hand-selected the individual tracks that really captured their ears and hearts. Here's just some of the Top Gourmet Songs of 2016, including tracks by Ginny Owens, Rivers & Robots, Eric Peters, Crowder, and more. We resurrect the UTR podcast out of hibernation for one of our most anticipated episodes each year. It's time to present the Top 11 Gourmet Albums of 2016 - as voted on by the 10-member UTR panel of critics. This is our final radio show in this chapter of our ministry & also our 8th anniversary episode. Dave Trout, artists, and listeners celebrate how God has used this ministry. Plus some iconic hand-picked songs from our 8-year archives, like Andrew Peterson, The Vespers, Julie Lee, & Eric Peters. On this second-to-last UTR radio show, we continue our interview with one of the most requested artists in our show's history, Josh Garrels - and we talk about inspiration, rest, songwriting, and his next albums. The rest of the music is requests from UTR listeners. With room for only one more interview guest in the UTR "radio" era, the choice was easy. We welcome back Josh Garrels to the show for an in-depth 2-part conversation - plus we're also playing listener requests. What would Judah & The Lion play if they were in charge of the UTR Playlist for a week? We get to find out! These kings of "folk, hop, 'n roll" join us all hour and play some of the artists that inspire them - including Brady Toops, Ellie Holcomb, & John Mark McMillan. We had so many songs in the queue that we wanted to play before this radio show ends, that we are spilling over into a bonus midweek podcast of UTR - this time sharing some of our favorite songs by Ben Rector, Melanie Penn, Christopher Williams, & more. Since we hardly ever repeat a song on UTR, we occasionally save some of the best tracks by an artist "in the queue" for a future show. Now it's time to spend the songs we have been saving - including gems by Cindy Morgan, Jason Gray, and Giants & Pilgrims.